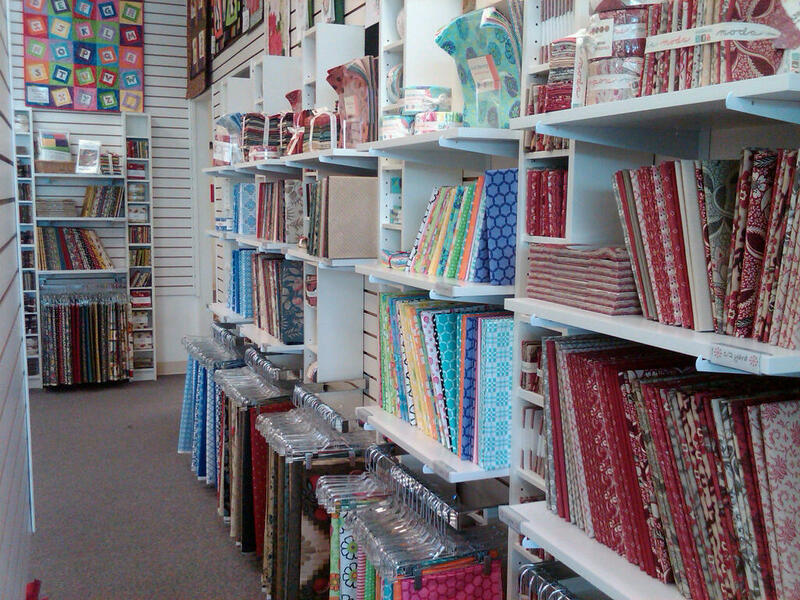 You would think, living in Houston like I do, that I would have a wealth of quilt shops to choose from. I haven’t found that to be the case. There are several up North of Houston, but that is a heck of a drive (about 45 min – 1 hour) through unfamiliar roads. And I think there is one or two in Galveston (again a good drive to an area I do not frequent). The one quilt shop I have relied upon is located in Humble, Texas. It is only a 25 minute drive from home. Once just a suburb of Houston, it is now a sprawling metro area of it’s own. Or at least it seems that way. Nestled in a strip mall, I had discovered “It’s a Stitch” fabric and sewing center. They did fabric and sold Bernina machines. If I had the urge to fondle fabric and just look at everything on a laisy Saturday, I had a place to go. They had notions. They had patterns/books. Thread. All the stuff. Well, about six months ago they decided to change their operations after 15-20 years in business. They sold off all of their bolt fabric (and everything else for that matter) at fabulous sale prices (my stash doubled I think). And then they had nothing but the sewing machines and some remaining notions/books. So I had not gone back for many, many months. They came out with this new approach to selling fabric again and was advertising through email and mail fliers. Once I saw that they had a lot of my favorite designers back in stock, I made the trip again last Saturday. They still do not have bolts, but have opted to sell everything in precut bundles. All the manufactured pre-cuts and their own cut fat quarters, half yards, yards, and two-yard cuts. Nothing bigger than that unless you pre-order the fabric before it arrives in the store and they will cut it in the back before doing the rest for the store shelves. They have some selection of backing fabrics in 4/5? yard increments, but not a whole lot. Above picture shows Chateau Rouge and Mama Said Sew. See the little hangers? Those are the two-yard cuts. The other cuts (other than fat quarters) are wrapped around cardboard sleeves. Another view down the aisle, showing more collections for sale. 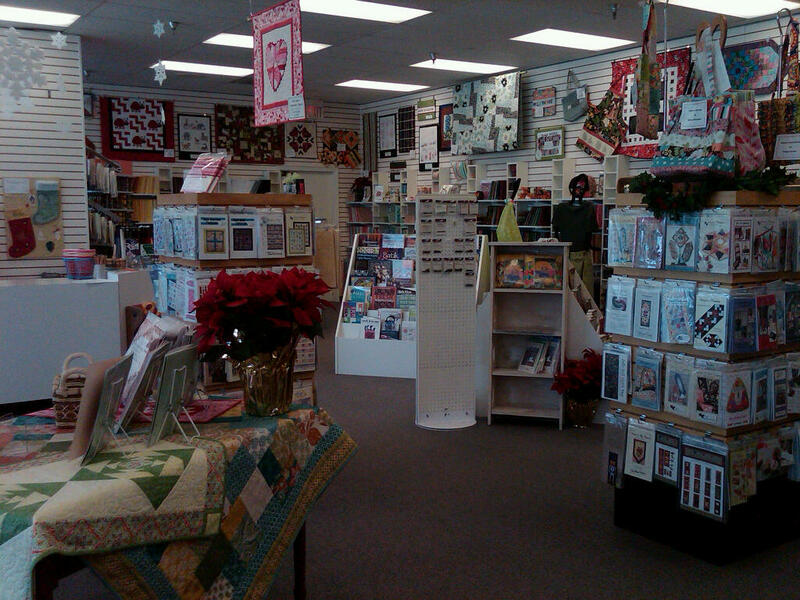 A picture showing the center of the store, not including the area with all the sewing machines and tables. This isn’t a bad approach and I think it actually looks quite inviting, after you get over the nostalgia of not having the bolts to lift and carry to the cutting table and having the last minute opportunity to tell the clerk to just “… make it 3 yards instead of 2, ok?”. So I bought a couple of items and some thread (my original shopping goal). At the checkout counter, I asked her when they would get Tapestry in stock by Fig Tree. She told me … “Oh, we have it in the back, we just don’t have room for it yet on the floor.”. REALLY? REALLY??? Do you not know what that fabric is and that you are losing sales every day it isn’t out there for customers? Like to me? Wow… I asked if it was already cut, or if it was still in the stage where I could ask for large continuous yardage. It was already sliced and diced, just couldn’t get it on the floor. I asked if I could buy it anyway, and she said that they couldn’t sell it yet. I was shocked. I guess if I had shed some tears, they may have sold it to me. Oh well, my FQS deliveries usually happen within 48 hours, so I’m not worried about that. 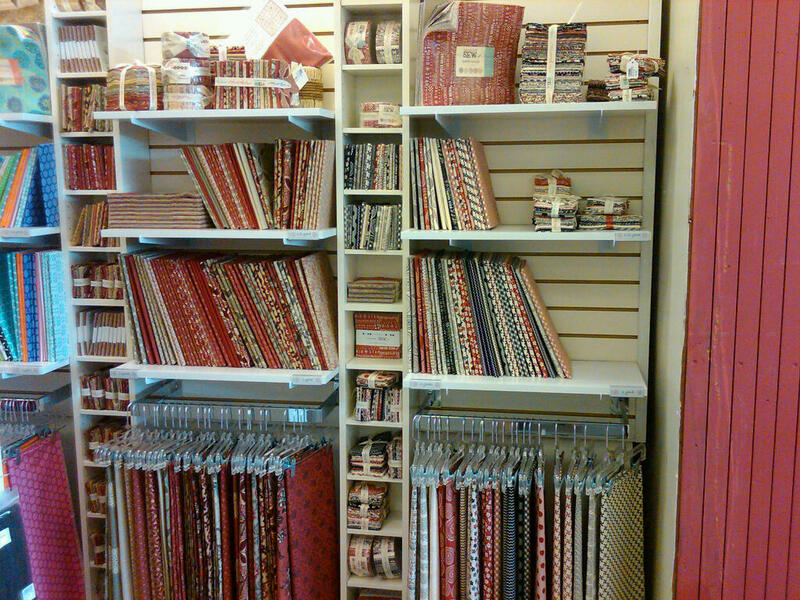 In fact, Hancock of Paducah’s is having a Fall sale where the Tapestry yardage is like 24% off! Can’t beat that! So, has anyone else seen a shop set up like this before? I don’t know how close you are in distance to Katy, but there is a quilt shop here called Quilt ‘N Sew that has a nice variety of fabrics on bolts plus precuts. The website is http://www.quiltnsew.com/index.htm, and here is their info: Quilt ‘n Sew Studio, 829 S. Mason Road #224, Katy, Texas 77450; Hours: Mon-Sat – 10am – 5pm – 281-398-0670. I have taken a class there, and I really like the ladies on staff that are always ready to cut cloth for me to enable my fabric addiction. 😉 I recently attended an organizational meeting for Texas Machine Quilters – both long arm and domestic – which will have the majority of its meetings at Quilt ‘N Sew and on 1st Saturday of each month, 10am-noon. If you are interested, I’ll be happy to provide more info. I also found a neat little quilt shop in The Heights recently – Tea Time Quilting – which has a pretty amazing amount of fabric tucked into a small old house. It is at 1046 Tulane Street. Thank you for the tips Linda! I haven’t been to any shops in Katy. That is quite a drive from my home, but great fabric deserves a little effort – right? I have been to the little shop in The Heights, about a year and a half ago. They had a unique shop to say at the least, in that old house! My trip this past Saturday was to Old Town Spring, just North of Houston. The shop there is called GRS Fabric Shop and it is an old house too … except it is HUGE on the inside and filled with MODA fabrics, among others. I’ll be blogging about that shop tomorrow. I would like to know more about what the monthly meetings involve for the Texas Machine Quilters – that may be very interesting!